First off, let me say this was one of my top two favorite step parenting books in the category I like to think of as "actual step parenting." 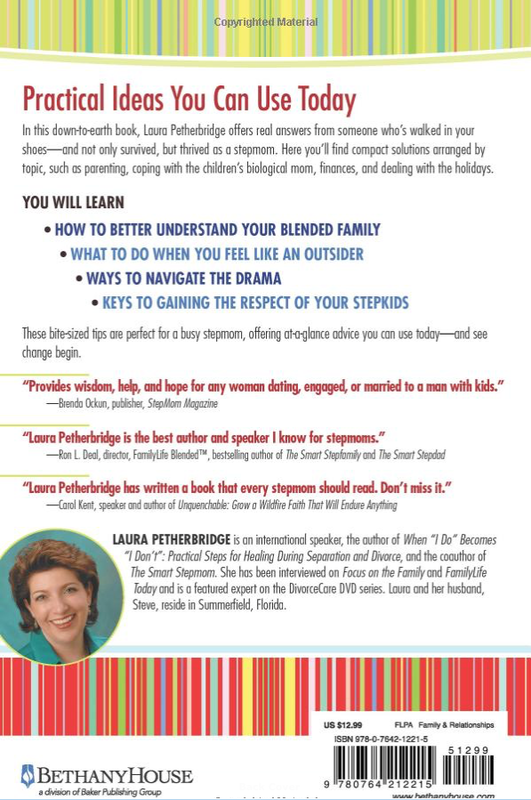 The author, Laura Pethbridge also co-authored The Smart Stepmom with Ron Deal (which earned above average scores). Like his books, this book is heavy on Christian themes, which can be very welcome or unwelcome, depending on your faith and your desire to have it as a major part of the book. Even for those who are Christians, at least among our readers, there was a feeling that they wanted the book to be about the subject of step parenting alone, and leave Biblical study for Biblical study. 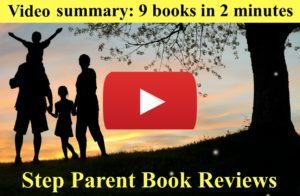 Despite that, the book earned high grades across the board, and in fact tied for the highest score among the most popular step parenting books. With its title of 101 Tips for the Smart Stepmom you'd think they were just random "tips." Instead, the book is cohesively told, but with 101 headings labeled as tips, every few paragraphs. That brings up what we felt was the good and the bad of the book. The reality was that the vast majority of the 101 tips were so weak it was annoying to see them individually labelled as tips. This is not to say the information was not helpful, but often it failed to deliver as a "tip." Visually, the book was a bit monotonous, with every page looking the same and not even having the usual break up of chapters to divide things up. Good examples of books that are visually a pleasure to read are the Ron L. Deal books (The Smart Stepfamily, The Smart Stepmom, The Smart Stepdad) with many inserted shaded text boxes and frequent chapter breaks, and Randall Hicks's STEP PARENTING: 50 One-Minute DOs & DON'Ts for Stepdads & Stepmoms, with a big photo related to each "do" or "don't". But why did it get a five star review with these issues? Because despite these annoyances, the advice provided was excellent and we found it to be one of the better step parenting books. Actually, we found her book better than the many "Smart" books by her celebrated co-author of The Smart Stepmom, Ron L. Deal. Many of the 101 tips - in fact 90% of them - were commonsense. But that's fine. No one is expecting to read a book and learn 101 new things. My fellow readers and I were thrilled to come away with ten or so things which stuck in our minds that we felt would help us as stepparents, or as the existing parent. One of my favorite tips was "Murder Norman Rockwell," discussing our natural desire to make everything perfect like Rockwell's famous paintings of perfect and happy families, especially at big holidays, and trying to live up to that unrealistic expectation. (I did wonder if the newer generation even knows who Norman Rockwell is, but our age group did.) Petherbridge astutely says, "If Norman had grown up in a stepfamily, he likely would have depicted the scene with an empty chair or two at the table." I loved this sentence, and whenever I think of the unrealistically cherubic faces around a Norman Rockwell Thanksgiving table, as I'm suffering through another imperfect holiday, I will remember the title of her tip, "Murder Norman Rockwell," and that alone will give me a laugh and a boost. Another favorite of mine, and one which took courage for the author to put in a Christian-based book was, "Accept That the Church Might Not Be Equipped." She points out a reality some of us have found, that many churches often have parenting classes for first-time families, but not for the messier situations of families created through divorce and remarriage, which is downright annoying and not serving a huge contingent of most church congregations. Also very insightful was, "Learn That Hurt People, Hurt People," reminding us that when a wounded person does not take the time to heal, they inflict their pain on others. This is an excellent reminder for us all, although it surprised me the author only addressed it in terms of a "hurt" step parent, as the syndrome is even more frequent in children striking out. 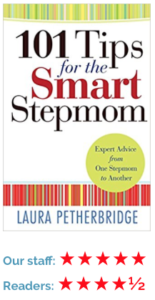 An excellent book and highly recommended for stepmoms. It's too bad the author decided to limit her book to only one-half of the step parent duo (particularly as it is often stepdads who need the most help but are less likely to ask for it than stepmoms).